The cows are doing really well, both of them. We’re getting 5 or 6 gallons of milk per day from the two of them, which doesn’t seem like great production until I remember they’re both almost entirely on grass, with a very small—token, almost—amount of grain, and they’re both staying in good condition. 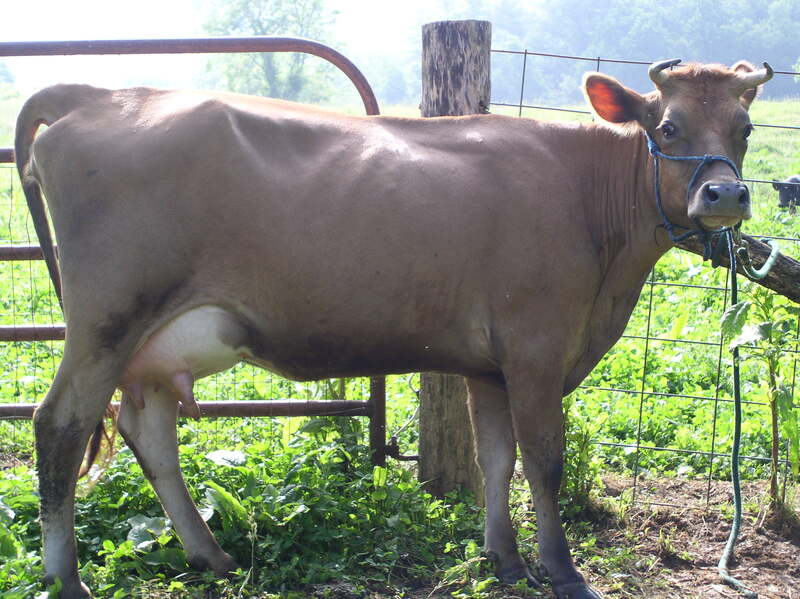 So our input is very low, and considering that Pearl is going on a year of continuous milking, I’m pretty happy. 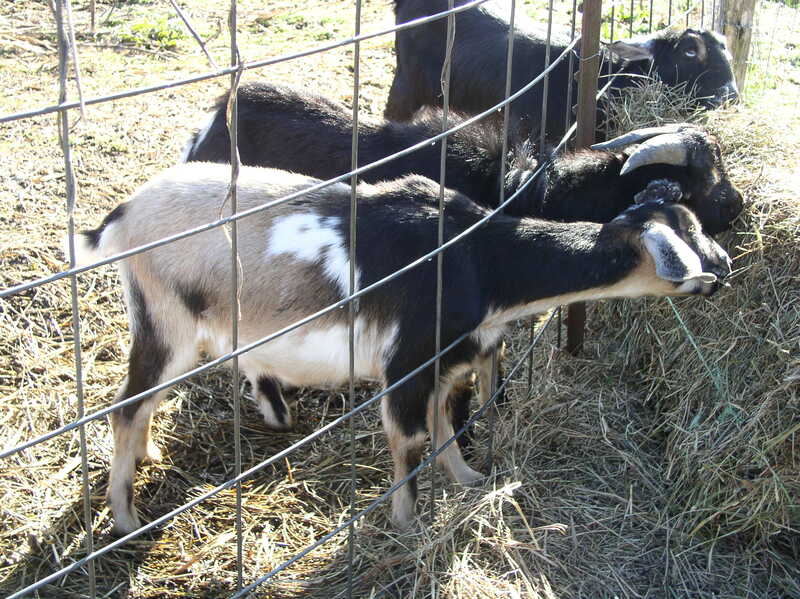 Last week I sold two of the goats. 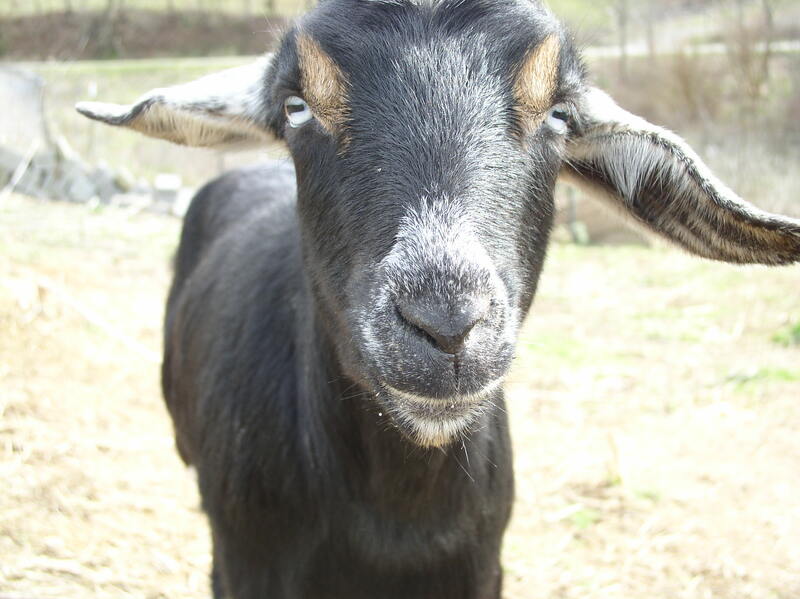 Oscar had just kidded, so I didn’t sell her, and I liked her personality so much more than the other two, that I thought maybe I would keep her and her two kids, which would give me a little goat milk to play with. Then this afternoon I walked outside to find her standing in the garden, and I turned around, came back inside, and listed her on craigslist. Ten minutes later she was sold. I love craigslist. So maybe goats really aren’t for me, or maybe I just need to have a better infrastructure before I attempt them again. 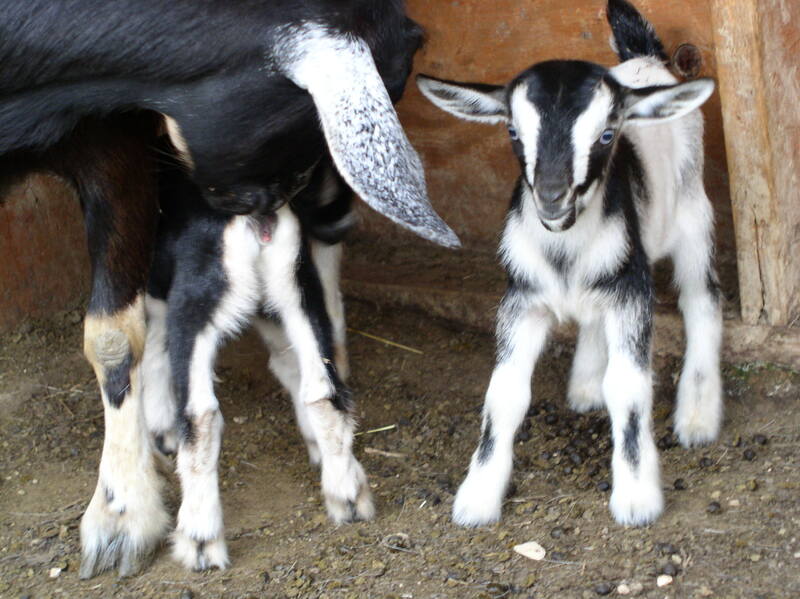 And for now I can get 6 or 8 gallons of beautiful goat milk every week from my neighbor—all the fun, none of the hassle. Speaking of animals wearing out their welcome, Gloria the pig has decided no fence can hold her—I had to chase her out of the garden last night at midnight. So, although I had hoped to breed her, she’s going to the butcher Friday, and we’ll just get a couple of weaner pigs who will have more respect for the electric fences. It’s sort of a zero tolerance thing around here these days! 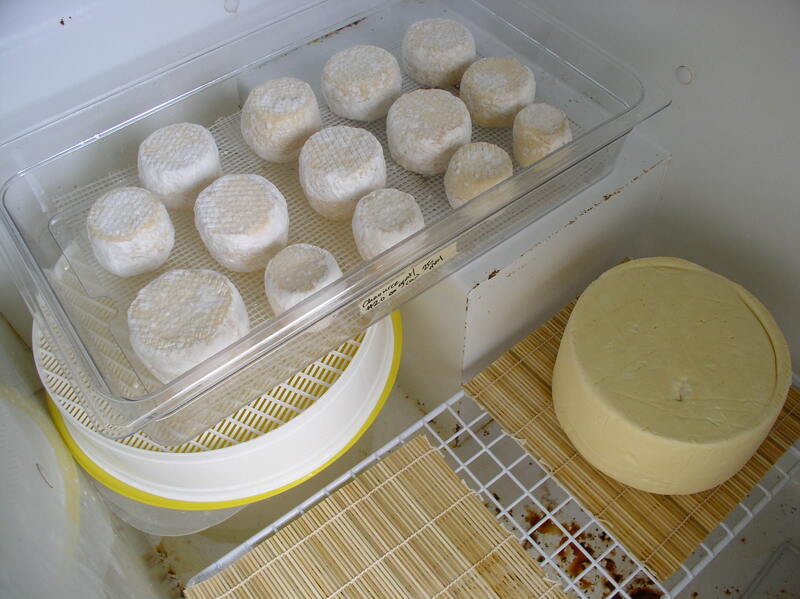 We’ve been buying goat milk from a neighbor so that I can make goat cheeses in addition to the cow and sheep milk cheeses I’m able to make with the milk from the farm. 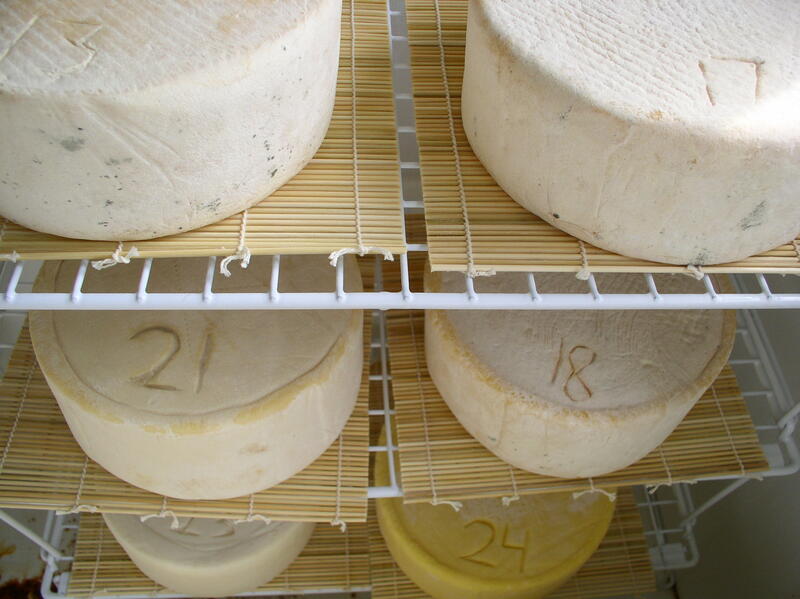 Isn’t this a gorgeous picture of the two milks? 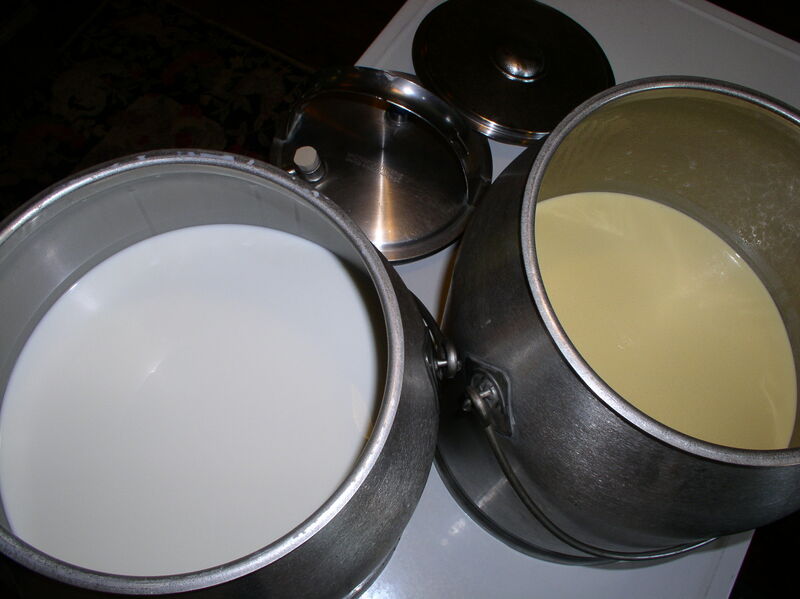 Those are five-gallon cans, just to give you an idea of the amount of milk we’re processing in the kitchen right now! 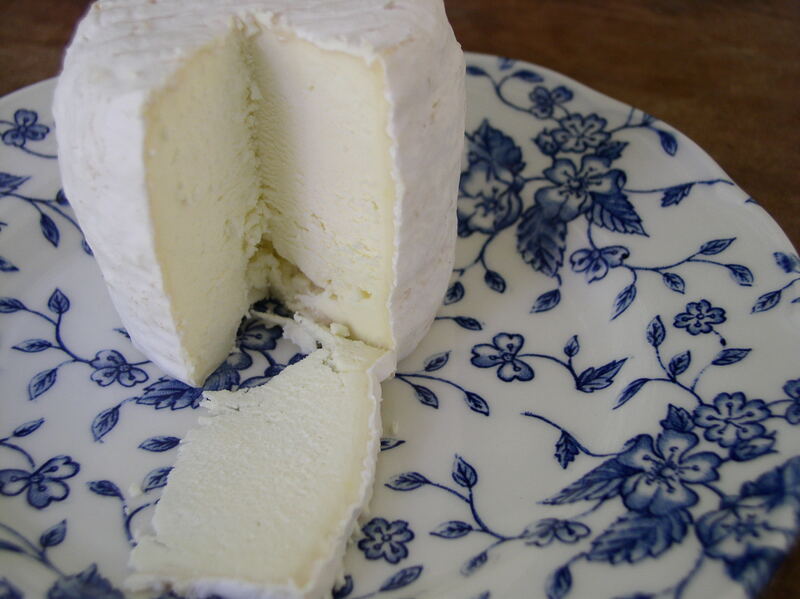 So far I have a batch of goat milk Chaource, and a goat/cow Tomme. Have I mentioned how much fun I’m having making cheese? So Oscar had her babies, and they’re really little and really cute. And really hard to take pictures of! The little grey one with the blue eyes is a buckling, of course. That’s adorable Trudy closest to the camera. 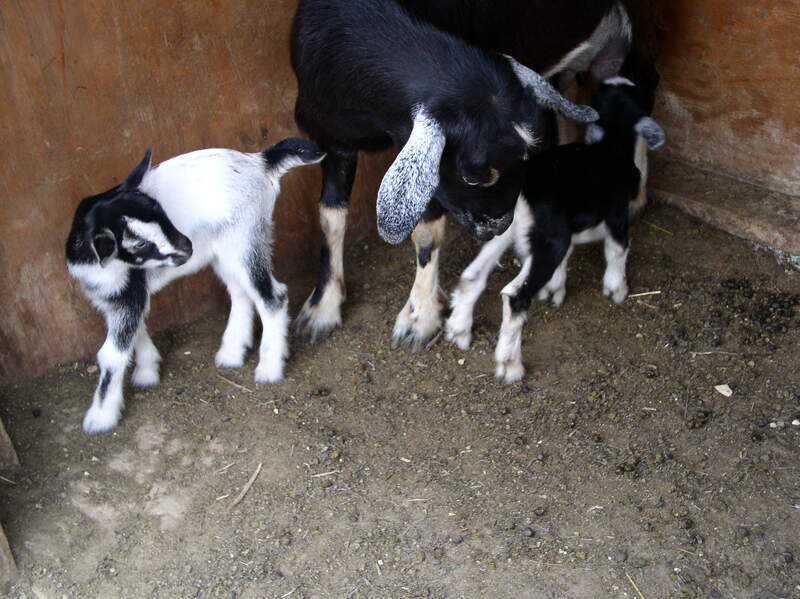 Since they’re all half Nubian, they have really silly ears—‘airplane ears’—but you don’t milk the ears, right?